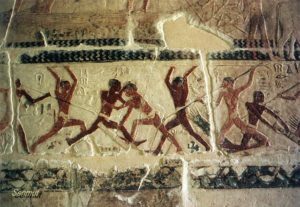 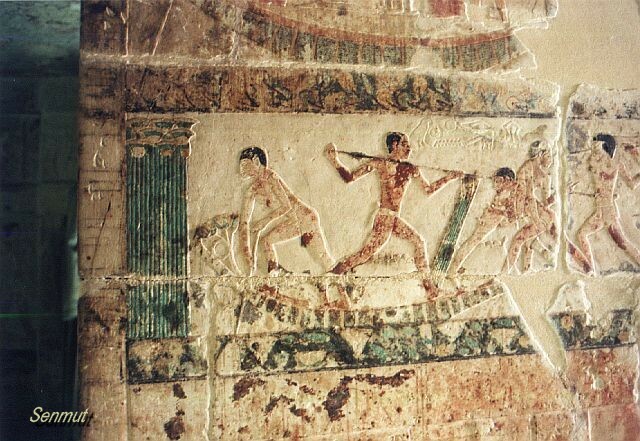 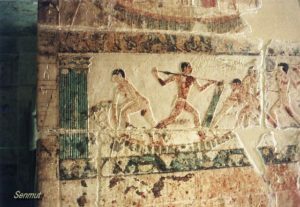 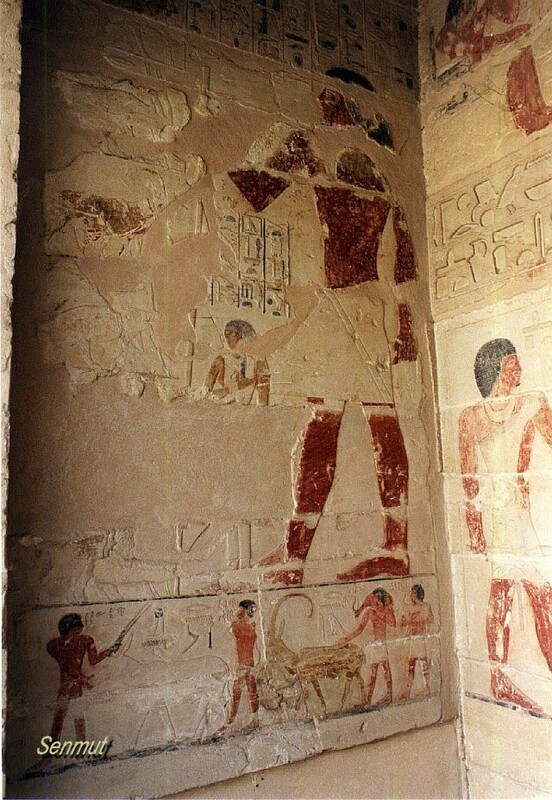 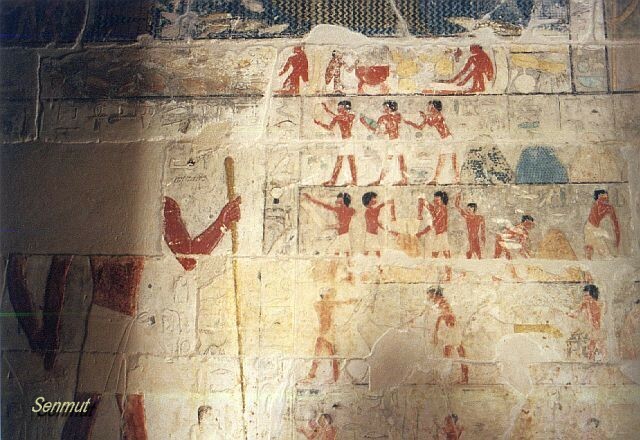 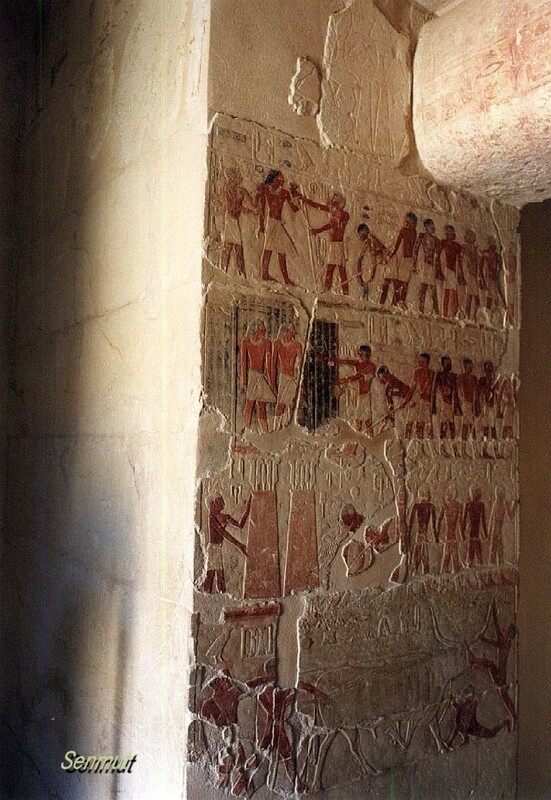 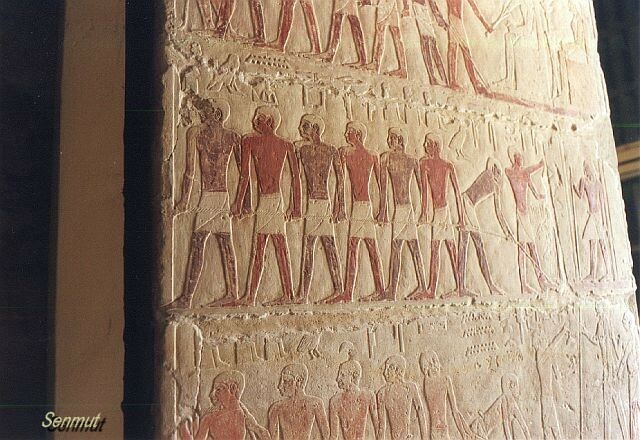 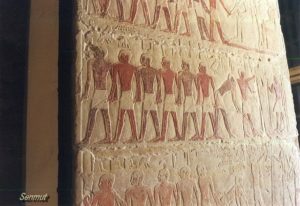 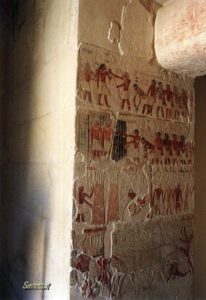 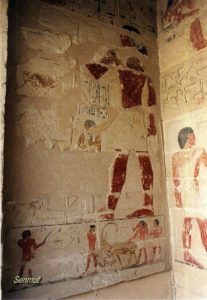 In 2002 the SCA opened a new tomb for the public and is situated just next to the causeway of Unas. Its owners, two brothers called Niankhkhnum and Khnumhotep were high officials both held the title “Overseer of the manicurists in the Palace of the king”. 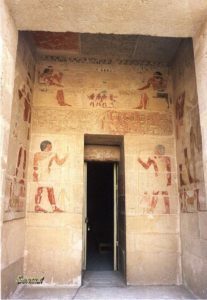 They served under the king Nyuserre Ini, the 6th farao of the 5th dynasty.They both were married, and the fact that they were buried together both in the same tomb is very unique. 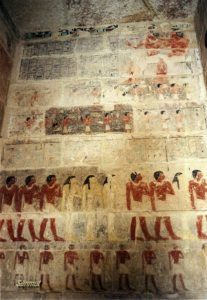 They were the sons of Khabaw-khufu and Rewedzawes, and seem to have three more brothers, Titi, Nefernisut, and Kahersetef. 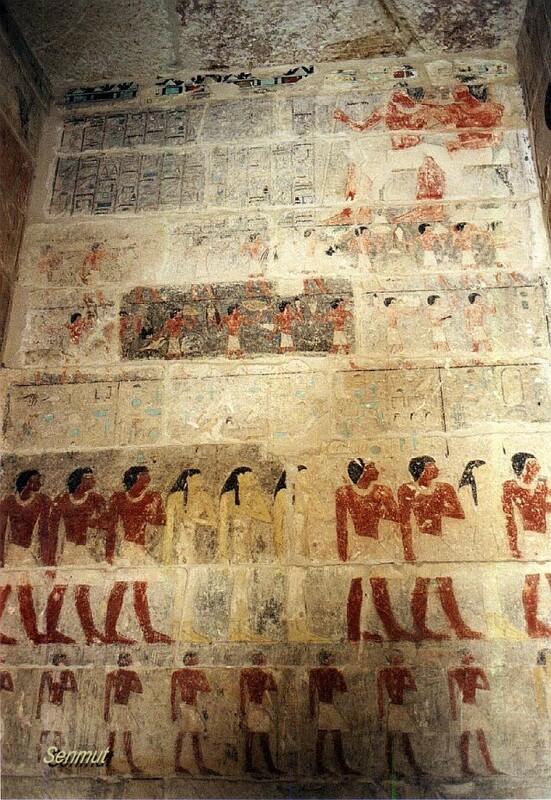 Also they had three more sisters, Neferhotep-hewetherew, Mehewet and Ptah-heseten. 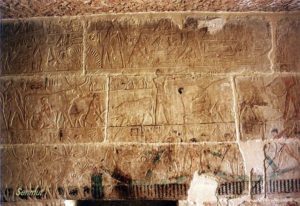 Niankhkhnum was married to Khentikawes and the couple is depicted with their 6 children, three sons named Hem-re, named Hem-re, Qed-unas and Khnumhezewef, and three daughters, Hemet-re, Khewiten-re and Nebet. 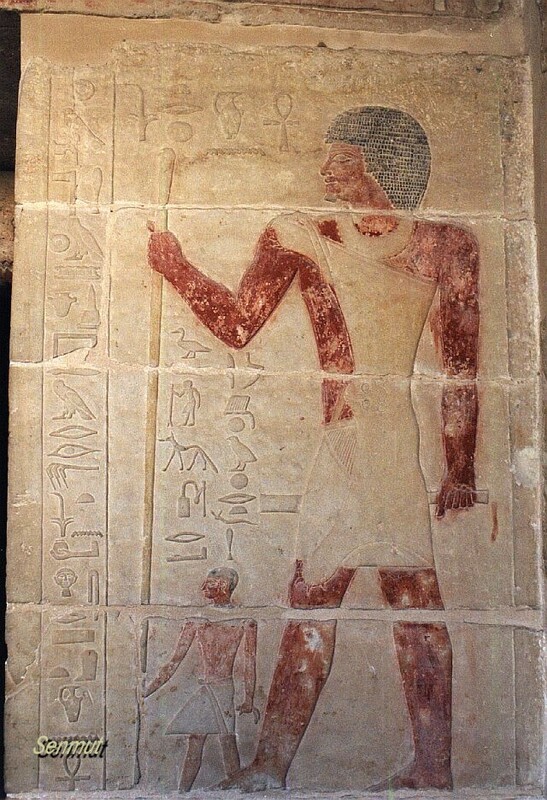 Khnumhotep was married to a woman by the name of Khenut. 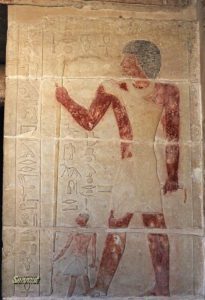 Khnumhotep and Khenut had at least five sons named Ptahshepses, Ptahneferkhu, Kaizebi, Khnumheswef and Niankhkhnum, as well as a daughter named Rewedzawes.